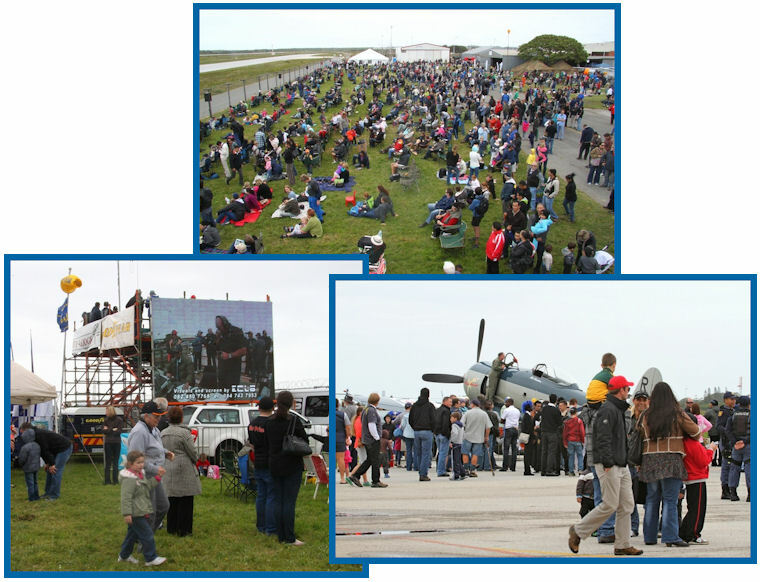 Held every year in the Windy City the main aim of the Port Elizabeth Airshow is to raise funds for the MTR Smit home that cares for and look after 100 displaced children. Despite low clouds and a cold wind that blew all day the show was attended by a fairly large crowd that unfortunately dwindled rather quickly after lunch. 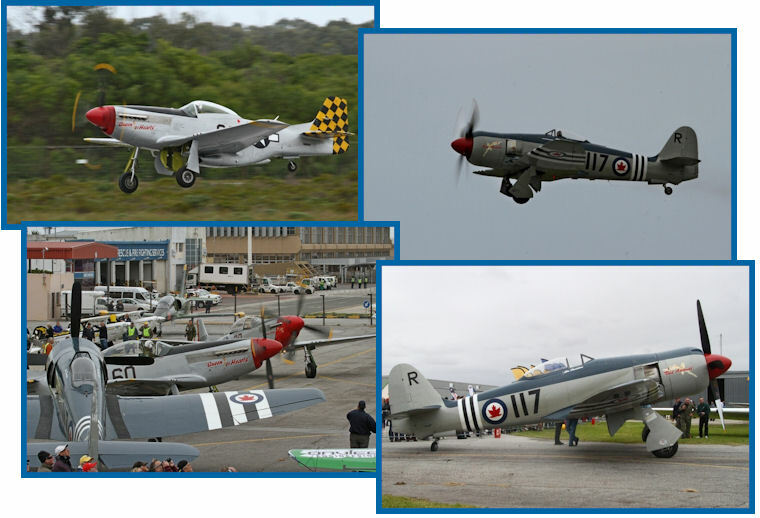 One of only two shows held at an Airports Company of South Africa (ACSA) Airport, security at Port Elizabeth is stricter that at most other events and the high fence that separates the crowd from the active air side makes photographing aircraft rather challenging. Brian Emmenis of Capital Sounds however came to my rescue and allowed me to share the broadcast tower and it is always a pleasure and eye opener to see the team at work. Being an active field means that one is able to watch and photograph the various arrivals and departures from up close and this makes the PE Airshow unique. 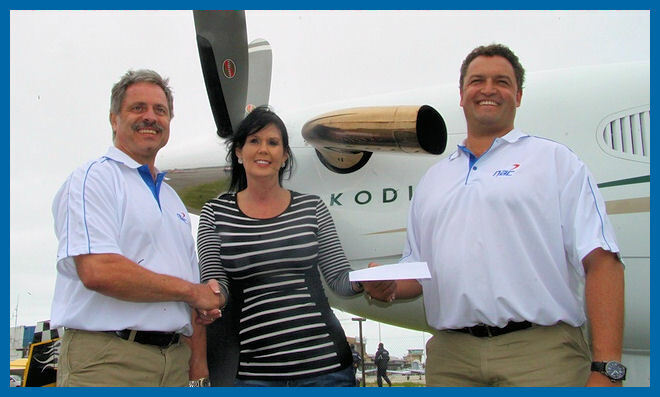 The low clouds and high winds however resulted in rather difficult photographic conditions. Port Elizabeth always has some pleasant surprises for those that make the long trip from up north and Saturday was no exception. The first act was a formation consisting of two P51 Mustangs, a Seafury and L39, something we landlubbers seldom see. 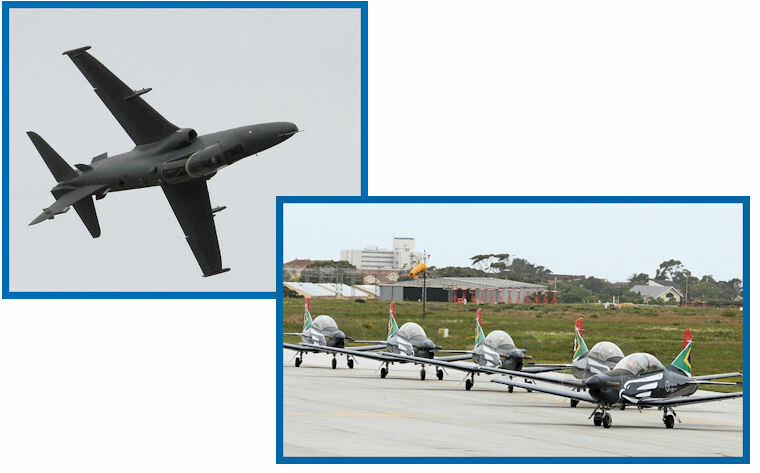 The SAAF was well represented with a C47TP and the Golden Eagles Parachute team, the Silver Falcons whose immaculate display of precision formation flying is a crowd favourite, a BK 117 and a visit by the Hawk. 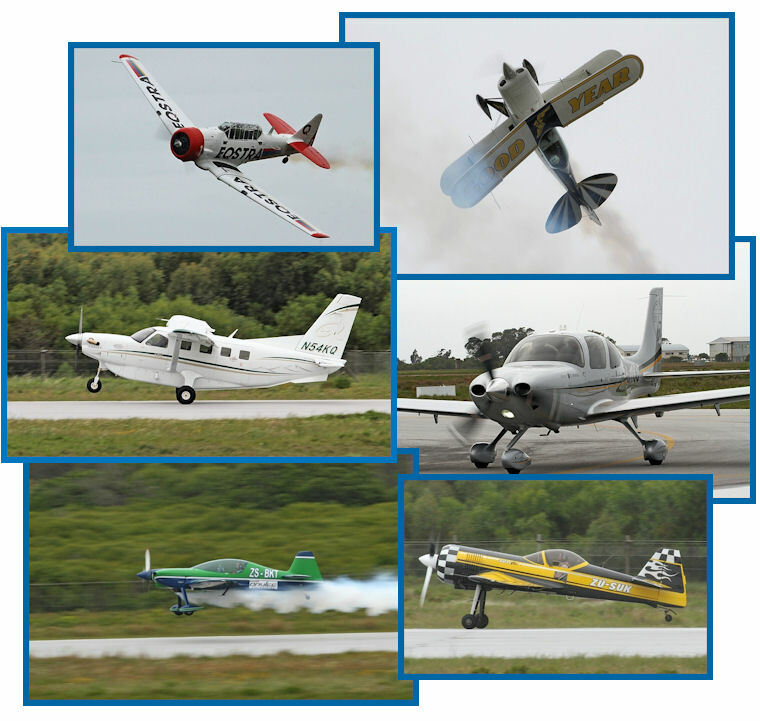 Up country visitors where the Goodyear Pitts Specials, the Eqstra Flying Lions, Team Extreme flying the MX2, the SAA Harvard's, the Cirrus SR 22 and NAC's Kodiak as well as the P51 Mustang. One of the Highlights of the show was Phillip Steinbach who flew in all the way from Europe to treat the crowd to a display of breathtaking aerobatics in his own creation, the Sbach. The locals did not disappoint with a Seafury, Mustang, Sukhoi and L39. 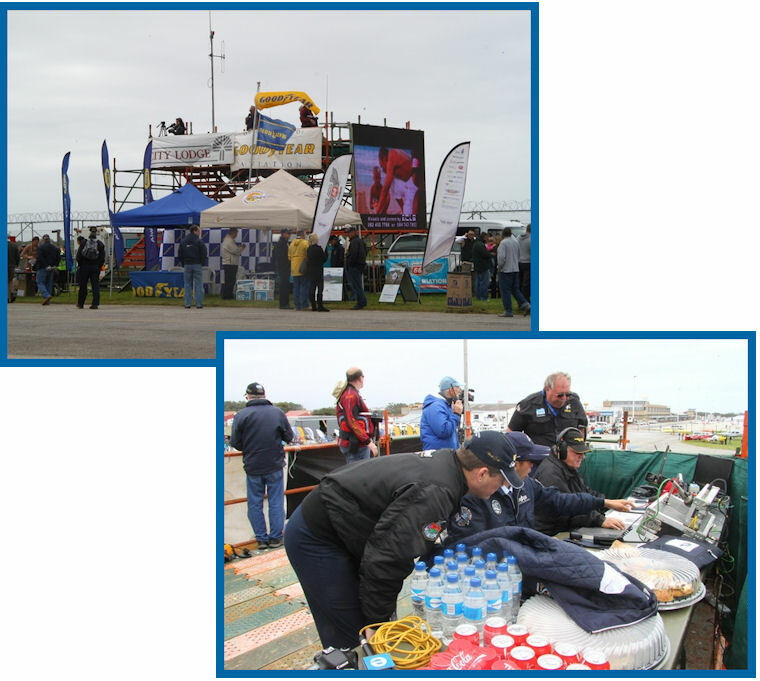 Despite the inclement weather, Port Elizabeth did not disappoint and Dr Crystal Watson and her team again presented a show of the highest calibre.